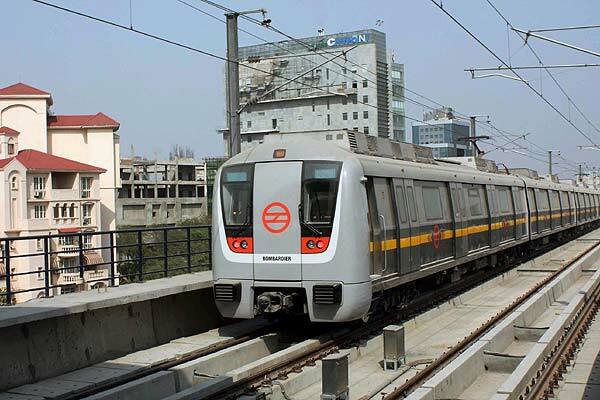 A Delhi Metro Rail Corporation (DMRC) trial train runs on its tracks in Gurgaon. The regular service is slated to start in April. 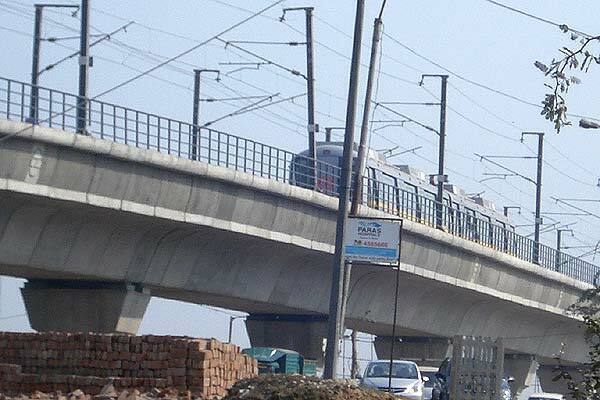 An inundated chaupal after heavy rain in Gurgaon. 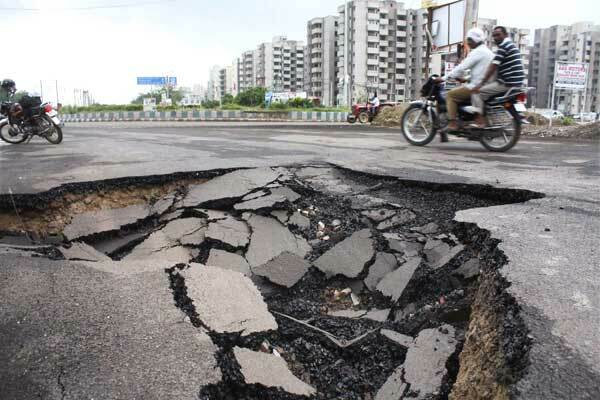 A part of the road caved in due to the rains in Gurgaon.